A report has found Nokia dominates the global mobile web usage market and the number of users accessing the web via a mobile device has doubled year-on-year since 2009. The study by analytics firm StatCounter found Nokia users accounted for 40% of mobile web browsing in world. Apple ranked second with 30%, followed by Samsung (14%). StatCounter attributes Nokia's supremacy to its dominance in India where few other handset manufactures have had success. But it's a different story in Britain, where findings from the study revealed Apple ranked number one and BlackBerry handsets second after the Cupertino based firm. Nokia also loses out in the USA with Apple accounting for a huge 59.11% of mobile web browsing activity. This highlights the Finnish firm's struggle to compete in markets where iOS and Android devices have sky-rocketed in popularity. 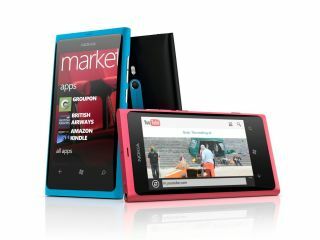 Nokia will hope to claw back some of the market in the UK and US with its new Windows Phone devices, more of which we expect to see launching at MWC 2012 in Barcelona.